Eighteen of the thirty-four Champion Designates, who were in line to move up to Champions, have now formally joined the program. The selection process had started in December 2015. These 18 newly designated Champions were formally inducted into the program on 25 June after they cleared the eligibility criteria. The new Champions are from a diverse set of companies such as Cisco, Intel, Honeywell, Tata Consultancy Services, Sulzer, Nokia, Black & Veatch, Hewlett Packard, Ingersoll Rand, Microsoft, and Global Edge. The total number of Champions is now 102, who represent over 75 organizations. The badge-pinning ceremony was held in J W Marriott in Pune. Besides the new members, the ceremony was attended by existing Champions who had made significant contributions in the past two quarters, PMI Pune-Deccan India Chapter President Girish Kadam, other board members of PMI Pune-Deccan Chapter, and PMI staff. The event also featured an interesting and enlightening session on "The success mantra for managing stakeholders" by PMI registered education practitioner, Dhananjay Gokhale. Associate member, PMI India Champion Advisory Committee, Vinay Kumar Agarwal, PMP, provided his support in finalizing a series of webinars for the project management community within Ericsson. These webinars, conducted every month, have practitioners from Ericsson as speakers. This series is providing a good platform for the participants to share ideas, get visibility, and network with fellow members. Calendar invites have been sent to over 600 members of the project management community in Ericsson. The first webinar was conducted on 30 June at Ericsson's Noida office, which was attended by over 110 practitioners. Since Ericsson is one of PMI’sinternal Registered Education Providers (R.E.P. ), the webinars would be registered on the R.E.P. portal and PMI certified practitioners who attend these webinars would be able to claim professional development units (PDU). This internal webinar series provides a perfect opportunity for continuous learning and to earn PDUs. 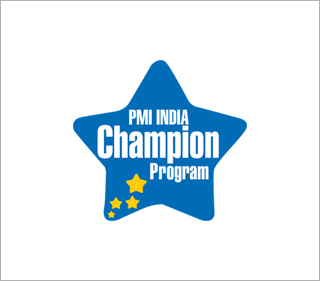 The Project Management Center of Excellence at IBM India approached PMI India to help the center organize an introductory session on the PMI Agile Certified Practitioner (PMI-ACP)® for its project managers. 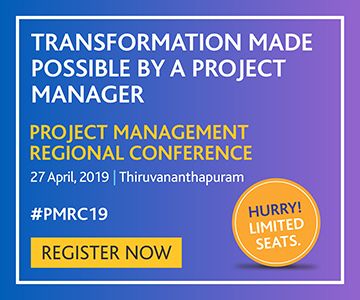 Shine Sahadevan from PMI India coordinated with PMI India Champions Kalyan Sathyavada, PMP, and Duraideivamani Sankararajan, PMP to make the event possible. The virtual session was held on 15 June. Mr. Sathyavada presented the session from the IBM India Hyderabad office. 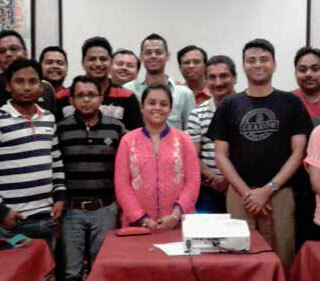 As many as 205 experienced project managers from IBM India attended the session. Mr. Sankararajan provided support by responding to online questions and prepared a detailed set of FAQs on the PMI-ACP certification and IBM policy guidelines. PMI has received a positive feedback from the IBM project managers' community for this session. PMI India Champion Koti Reddy Bhavanam delivered a two-day session on agile project management techniques at Honeywell on 30 June and 1 July. The workshops covered the basics of agile, scrum and XP, and focused on scrum implementation. Around 36 middle managers attended the workshop. The workshop was coordinated from Honeywell by PMI India Champion A.K. Manjunatha. Two more workshops are being planned in the near future in the Bangalore and Madurai offices of Honeywell. PMI India Champions, Sumanth Shampur, PMP, and Sowmyan Narayan, PMP, spread awareness about PMI's Project Management Professional (PMP)® certification through a four-day workshop at the Hewlett Packard Enterprise (HPE) office in Bangalore from 4-8 July. The workshops were customized to suit the global finance functions at HPE. It was attended by 12 project managers and senior project managers. 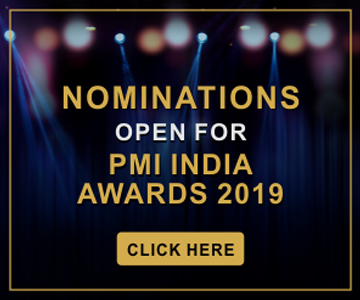 Four of the participants have since become PMI members and another 10 project managers from the company have shown interest in applying for the PMP certification. PMI India Champion Program Chair Vivek Sonar and PMI India Senior Champion Kalyan Satyavada from Hyderabad conducted a four-hour workshop on “Project Management for School Teachers” at Tagore International School, Delhi, on 30 July 2016. 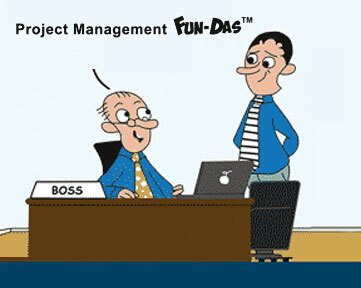 This is the first of its kind event organized PMI Educational Foundation in India. The workshop was conducted simultaneously at the school's campuses in East of Kailash and Vasant Vihar. At each of the places, around 90 teachers and other school staff participated that included teachers from kindergarten to 12th standard. The workshop aimed at presenting to the participants the basics in project management and some key concepts which they can apply to various school activities and projects that the school runs through the academic year. At the end of the workshop, the participants were split into four groups with each group discussing and applying the project management concepts they learned in the workshop. They used these concepts to create projects and make presentation to the audience. Leena Gupte from PMI India led the architecture of the program and supported the session at the East of Kailash school premises along with Mr. Sonar.